If you have stayed on scenic gulf drive before chances are you noticed and admired the beautiful architecture and stunning grounds at Mediterranea. One of the newest complexes on Scenic Gulf drive, the developers paid attention to detail on the grounds and throughout each unit. The grounds of The Mediterannea are covered by a lush courtyard area with a 3,000 square foot, seasonally heated pool and spa surrounded by a spacious sun deck, gas grills and a gazebo. Additional amenities offered at Mediterranea include a community room, fitness room, and tennis courts. Guest of our unit enjoy the use of 2 chairs and a umbrella setup on the beach from March-the end of October. Additional chairs and umbrellas may be rented at the beach for an additional fee. 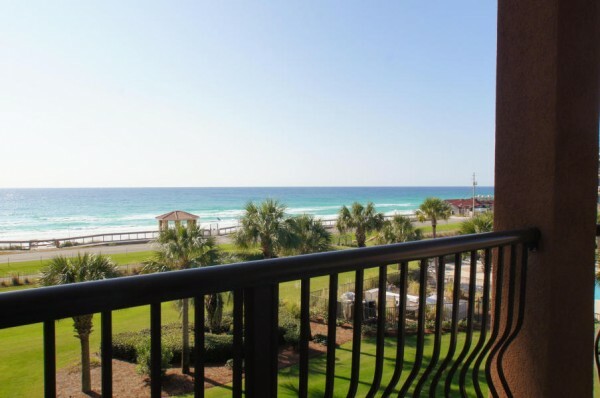 All Photos taken By Laura Clayton and Beach Condos In Destin are copyrighted and not available for free to outside use.